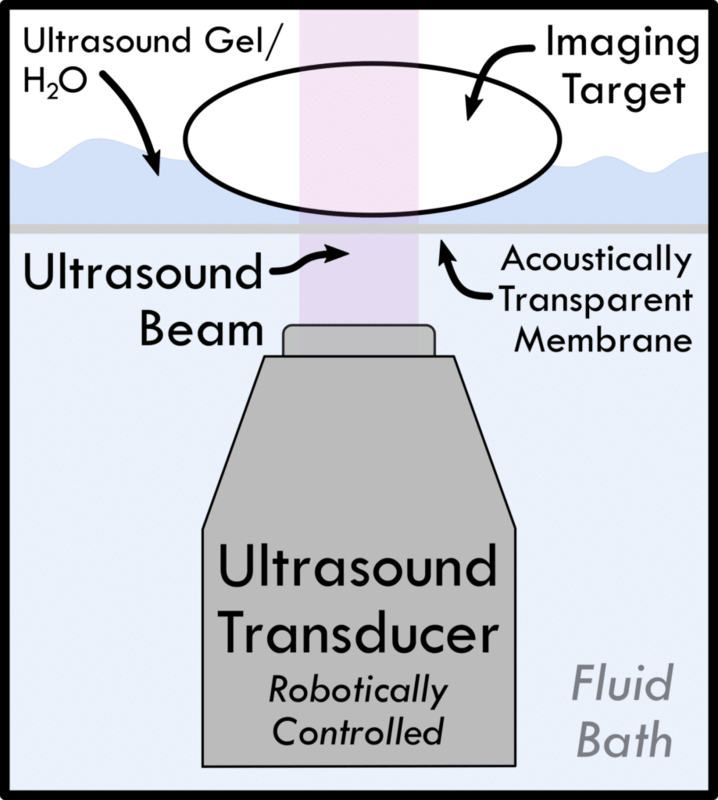 Widefield ultrasound imaging lets you see more.  SonoVol’s wide-field 3D ultrasound acquisition mode allows nearly every organ system to be visualized in a single one-minute scan. No time is lost trying to ensure the tissue of interest fits within your 2D or 3D image – the Vega gives you the whole animal! 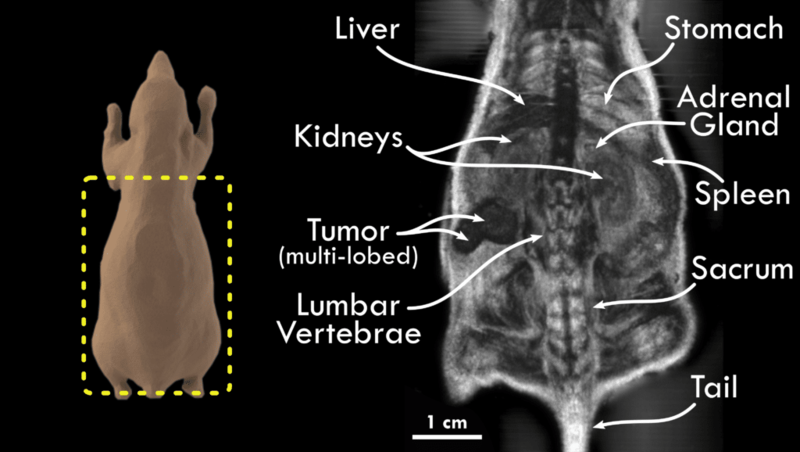 Imaging is performed from below the animal in a non-contact manner. C-plane image reconstructed from widefield 3D ultrasound data.